SMILE AND NOD DOES STAND UP! 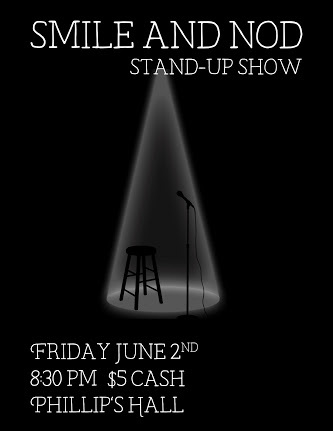 BIG NEWS BIG NEWS we are having our only stand-up show of the quarter this Friday, June 2nd in PHILLIP'S HALL. Come see us perform some funny ~kwerky~ original sets!